Unman, Wittering and Zigo is a deeply disturbing film about a nasty group of kids at a boarding school. 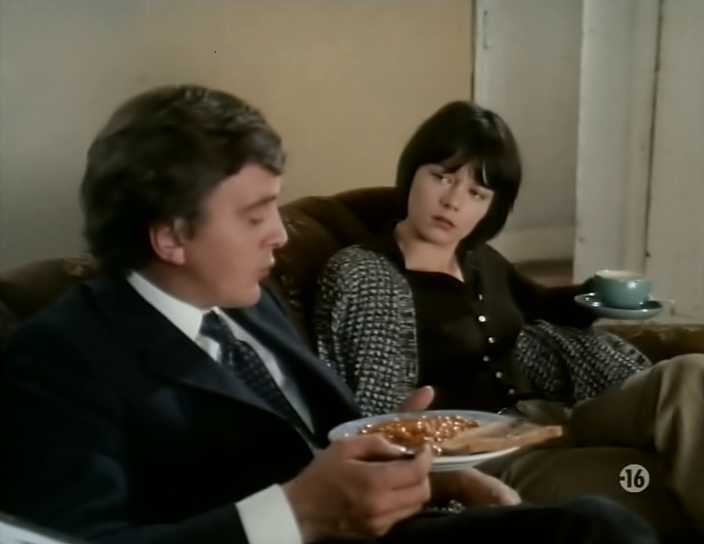 After their former teacher dies mysteriously, David Hemmings comes in as their new teacher and is almost immediately drawn in to the mind games being played by some of the most obnoxious British teenagers you're likely to see. 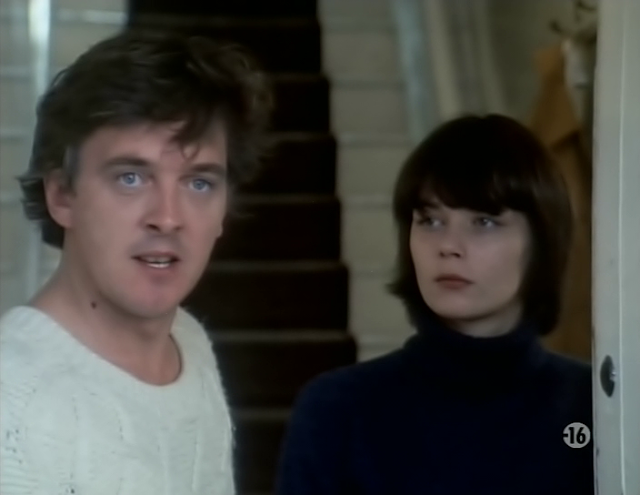 The upside is that a young and very beautiful Carolyn Seymour plays Hemmings' wife. 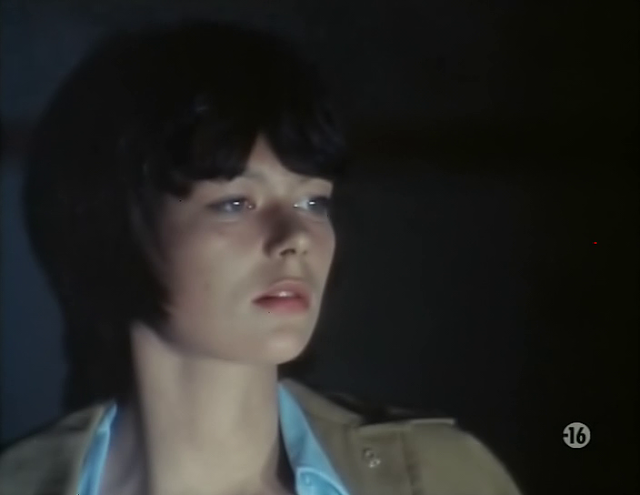 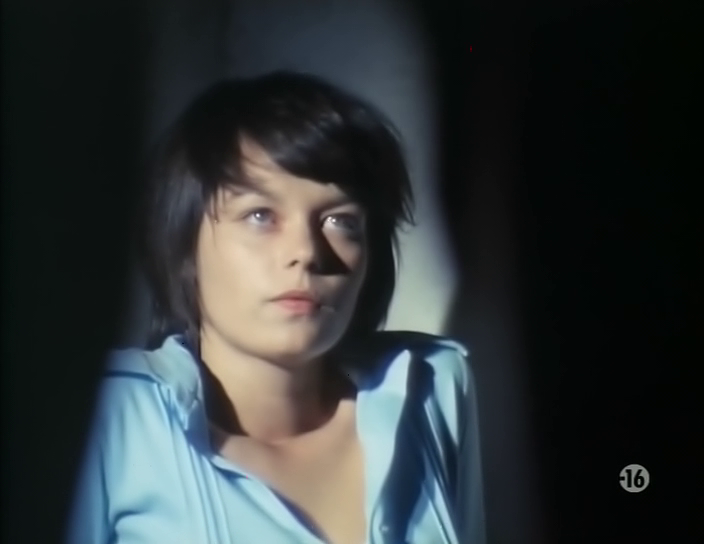 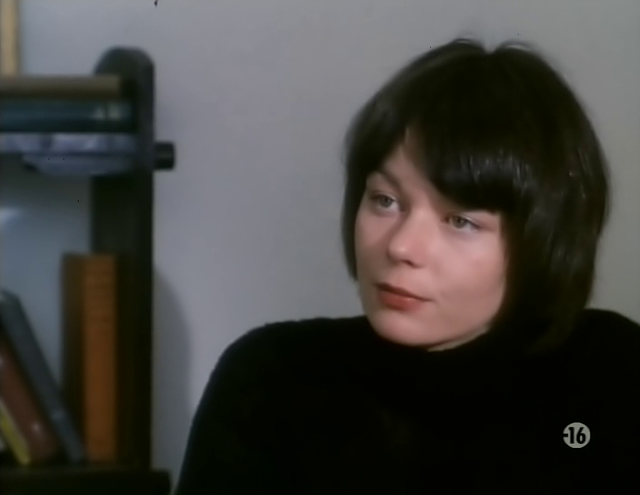 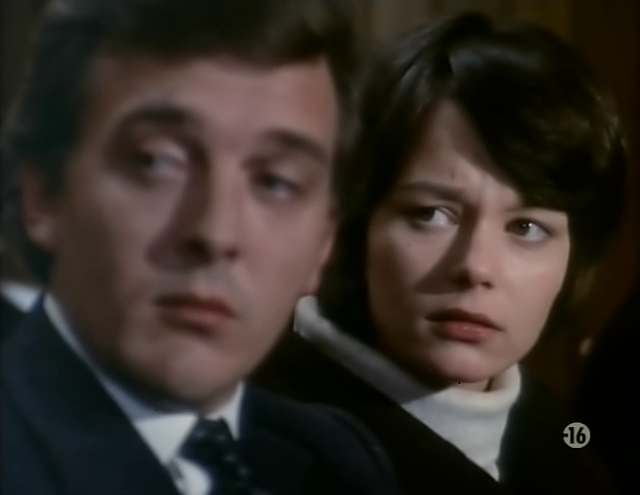 In Unman, Wittering and Zigo, Carolyn Seymour has her trademark short black hairdo, though here it is not as closely cropped as she would later have it. 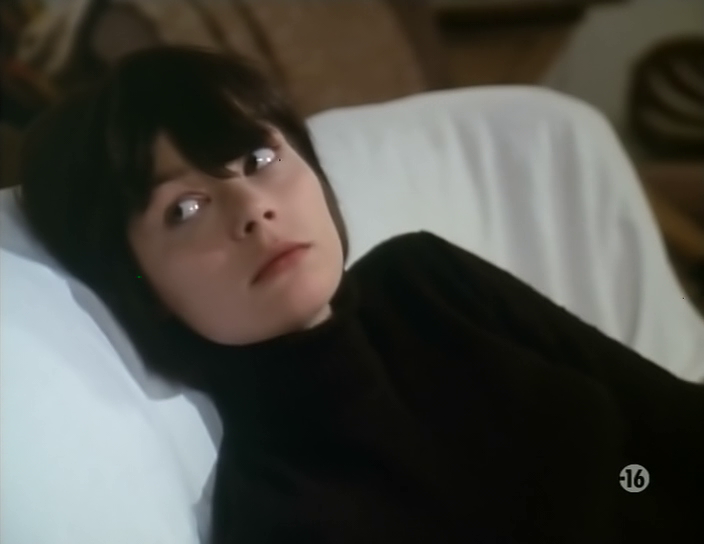 All in all, she is wonderful in her role of the doubtful, oblivious wife.